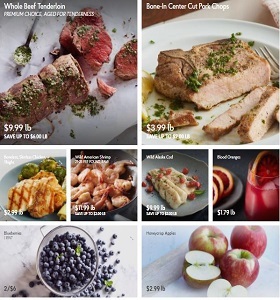 Browse Fresh Market Weekly Ad April 17 – April 23, 2019. Save with The Fresh Market Sale Specials, featuring great deals on food and groceries. The stores are loaded with the freshest produce, bin after bin of fresh roasted coffee beans, and hard-to-find grocery items from around the globe. The supermarkets offer large varieties of freshly prepared products found in the Bakery & Deli departments. Find The Fresh Market Weekly Sales.